Today we’re talking about a useful addition to your tool drawer. In fact, Socket Roll is just like a portable carrying case that will allow you to easily store and have all your sockets close at hand. It’s currently being funded on Indiegogo so this is the perfect time to head there and check it out. First of all, Socket Roll will save you valuable time since you’ll have access to everything you need without wasting time trying to find sockets in a tool box. Whether you’re fixing your vehicle, broken items around the house and backyard or simply tuning the boat motor, every socket will fit inside this roll. This also means you don’t have to carry a heavy box. 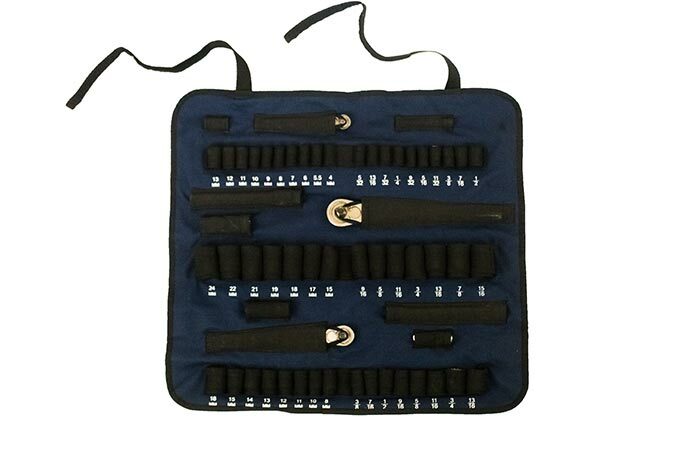 Socket roll is a compact carrying case that can fit 60 individual pieces. Everything comes marked so you won’t have problems organizing it. Inside, you can fit 60 individual pieces. Everything is marked so you quickly find the one you’re looking for and thanks to the special stitching technique, sockets will lock in place. 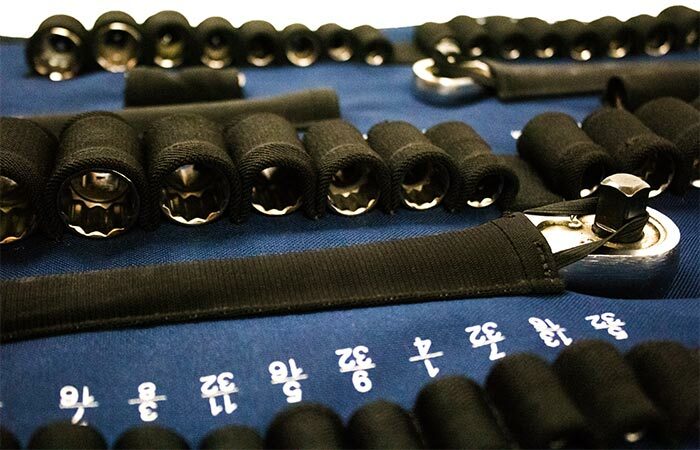 The high-quality woven elastic will keep sockets from falling out since it doesn’t loosen up. It might take 2-3 weeks for the elastic to settle in its shape though. Also, the case is made from oil and water resistant material so it won’t get dirty easily. When you’re done using it, simply roll it and store somewhere safe. The case comes in five different colors. It features high-quality elastic that will keep sockets in place and won’t loosen up. The fabric used for the case is oil and water resistant as well. Check out this promo video and see what you can use it for.